Webster University vocal performance major Danielle Feinstein performed a classic Christmas song on Fox 2 News. 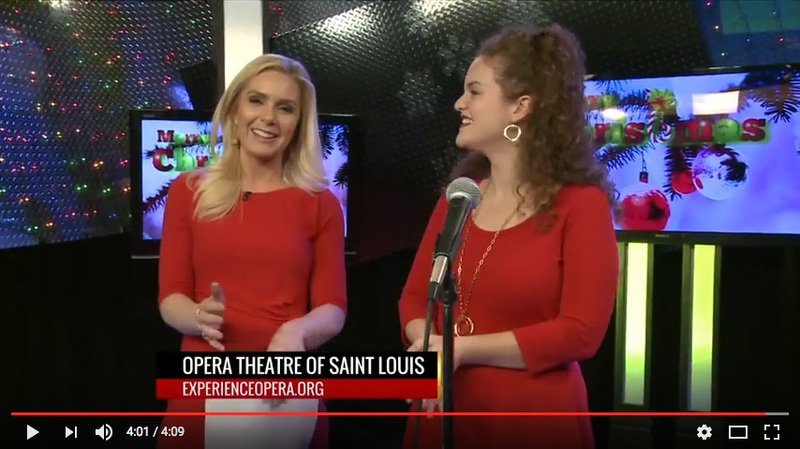 Senior vocal performance major Danielle Feinstein appeared on Fox 2 News in a live on-air segment Tuesday morning, Dec. 20, representing the Opera Theatre of Saint Louis and Webster University's Leigh Gerdine College of Fine Arts. Feinstein studies under the direction of Martha J. Hart. In the over four-minute segment, Feinstein pitched a gift box from the Opera Theatre and discussed the upcoming Opera Scenes performances. Feinstein then sang an unaccompanied rendition of the Christmas classic, "Have Yourself a Merry Little Christmas." Click here to view the full Fox2 News segment with Feinstein.